As a mom, I spend so much time looking for things that my children have misplaced. Of course, during my search, I also spend a lot of time lecturing them on how they wouldn’t constantly lose things if they would just put things where they belong. I keep hoping and praying the day when they place things where they belong will arrive soon, and my days of searching the house top to bottom will come to an end. Funny thing is, we recently had the opportunity to spend the weekend with some friends of ours. They are both adults, empty nesters actually, so they’ve raised their kids and probably spent countless hours searching for missing items too. Well, at least one of them I’m sure did. The other I’m not so sure about after we spent a good thirty to forty minutes searching the condo for his wallet. We were only there for the weekend, we didn’t bring a ton of stuff with us. We spent most of our days at the beach. It shouldn’t have been too difficult to find his wallet. I held back from giving my usual speech while four adults and two children split up, covering all rooms, including beach bags, kitchen cabinets, ice chests, and even the trash can. You never know right? Well, it wasn’t in the trash can. It was in his brief case. The entire time, his wallet sat in a place where you would think it belonged…inside his briefcase. However, precariously hovering over two compartments, it wasn’t completely in a pocket. Technically, it didn’t really belong there. He had checked his brief case a few times and hadn’t seen it. The wallet, being the same color as the bag, blended into the inside fabric. Upon first glance, it wasn’t noticeable. Upon further inspection, it really stood out. In my current stage of life, I am that wallet hovering between two places in my life. Our family has been “temporarily” living in Puerto Rico for almost five years. We live in a furnished place surrounded by other people’s stuff. It’s a nice place. The weather is divine. We’ve made lifelong friends. Do we belong here? It doesn’t completely feel like it. During the holidays, we head back to our house in Texas. It’s a nice place. There, we are surrounded by our stuff and lifelong friends too. Do we belong there? It doesn’t completely feel like it. It has nothing to do with things, friends, or location. We are always happy to arrive at either place. We are always happy to catch up with our friends once again. At first glance, much like the wallet, we look like we belong. The truth is we live in a state of limbo…not the fun kind, where you dance under a stick, usually at an event where the alcohol has been flowing freely. 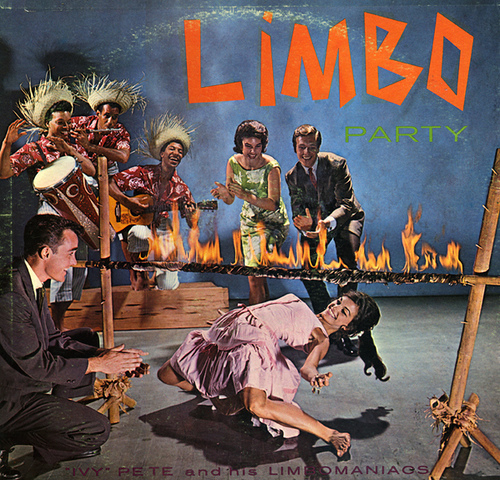 Our limbo is the kind where we are pulled in two separate directions, more like the old Stretch Armstrong I was always stealing from my brother when I was a kid. Sorry Stretch! These days I feel your pain! The thing about limbo is you have to keep hovering, maintaining that balance because you don’t have the luxury of leaning too far in either direction. So, you go with the flow, enjoy your time in both states, and hope you don’t stretch out so much that you are never the same again. Is there an aspect of your life that is currently in limbo? Win Win or Lose Lose? The hardest part to realize is that THIS is your real life. Being in limbo is your life…at least for now. It sounds like you’re enjoying each day. If not, I find that binging on chocolate and Teddy Grahams does wonders for improving your day. I love that you have the same feelings too! Of course, it probably just puts us in a league of our own which is a positive thing no doubt. 😉 Thanks for pointing out all the other aspects of my life that I can feel limbo-ish about. High five on that one! Really! Whenever I lose something I say out loud “it’s in the first place you looked but you didn’t look hard enough”. It is SO often true as it was here. When I was an expat I thought of it as being lucky enough to have more than one life at a time. I didn’t feel in limbo. Now I feel in limbo in so many other ways and I have to try to remember that I am not. I have arrived. This is it, not a dress rehearsal. Yes it’s tough not knowing how long you’ve got in a country. You can’t make any plans and some people don’t want to have you as new friends if they think you are about to leave! Great post and another great analogy Little Miss Wordy! It definitely does sound like your life is a balancing act but it must never get boring!! Never a dull moment! ha ha! This is actually the first time ever that I HAVEN’T felt like I’m in limbo, or not belonging somewhere, or stretched to extremes. I don’t know how I’ve arrived at it, but I’m actually happy with who and where I am at the moment. But I have to say, nine times out of ten, if I can’t find something it’s because it was put away. I’m better off when things are out where I can see them. That’s always the case isn’t it? That or as soon as you go out and buy a replacement for what you’ve lost, it magically shows up. LOL! I think there are always times like this in life. You come to crossroads and make choices and then live with them. Seems like you will be making a choice soon. 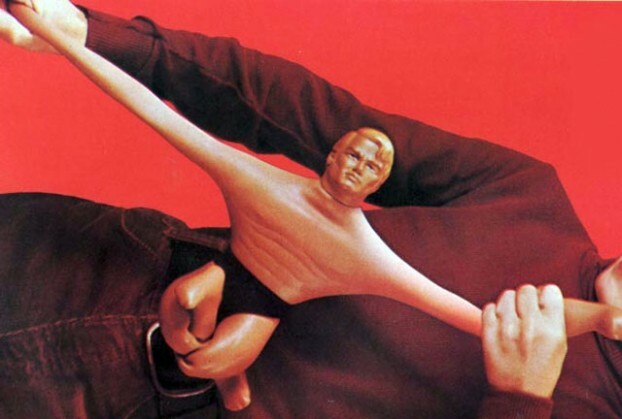 Stretch Armstrong was and is awesome. I had one once back in the day. He didn’t live long. 🙂 Good luck with your limbo! I kind of feel this way about adulthood. Even though I’ve been at my “grown up” job nearly three months now, there are still times where I feel like I’m only pretending to be an adult. It has fully sunk in, yet. I think we’ve all been there when it comes to the “grown up” job. It’s the goal, but once you get there you wonder who let you into the grown up world. 😉 You get used to it in time. I can’t believe it’s only been three months since you started. It seems like it’s been longer.